Norfolk Cottages began life as Norfolk Country Cottages, round the kitchen table of the Ellis family home in Reepham in Norfolk. Back then, in the early 1990's, Richard and Lesley Ellis felt there was a need for a company that could offer beautiful holiday homes, together with local knowledge and excellent customer service. Starting with only a handful of properties, but a clear vision, the company soon outgrew the family home. A move to Carlton House, in the market place of Reepham (only a few minutes’ walk up the lane), saw their portfolio expand quickly, as well as their staff team to include IT, marketing and homeowner support. Taking a giant leap to today, Norfolk Cottages is still run and owned by the Ellis family, together with a dedicated management and staff team. Although IT and marketing support still remains in Reepham, the customer-facing office is in a pretty period building in the market town of Holt. The Ellis family involvement has also grown, and now includes their two sons, James and Tom, and son-in-law, Tom (must be a popular Norfolk name!). 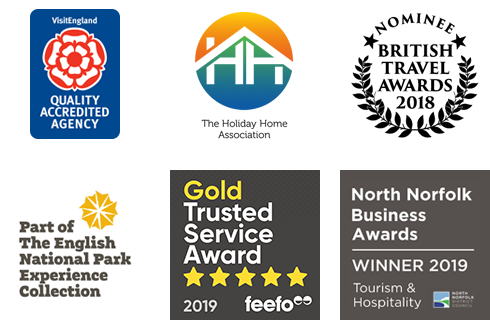 Now proud to be the largest independent holiday cottage agency in Norfolk, the company’s original vision, passion and aims haven’t changed – to provide the best portfolio, customer service, local knowledge and holidays possible. Norfolk Cottages is one of a small group of locally focused brands owned by The Original Cottage Company Limited, which is a family owned private limited company incorporated in England (registered number 06951692) with a registered address at Bank House, Market Place, Reepham, Norwich, NR10 4JJ. VAT No. 595 2110 44.